Congratulations to these lucky 5 teachers! 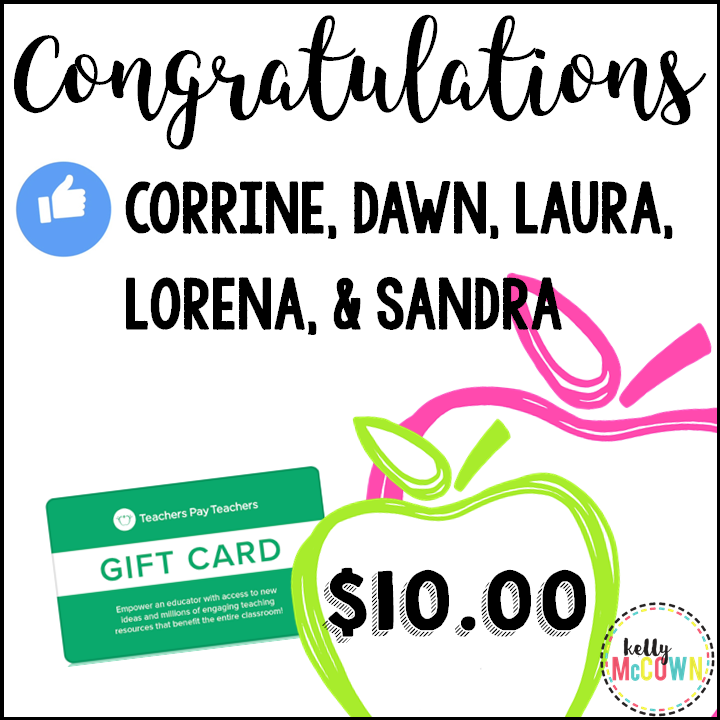 They each won a $10.00 TpT Gift Card for signing up for the weekly newsletter. Do you receive the weekly freebies, giveaways, and math resources?